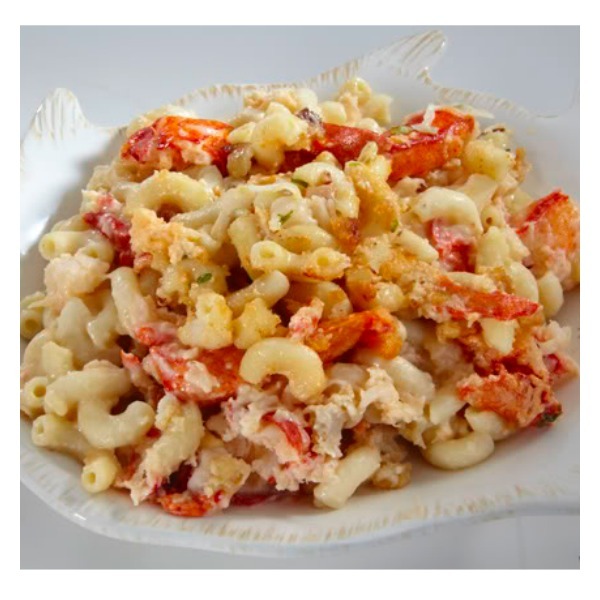 This is hands down the best lobster macaroni and cheese and best yet, now you can order this decadent comfort food favorite online from Lobster Anywhere. Lobster Anywhere’s fresh caught and carefully sourced ingredients set them apart from those other lobster mac and cheese mail order dishes. A hefty portion of the most tender Maine lobster meat is tossed with imported cavatappi pasta and a secret three-cheese blend, then topped with thin layer of buttery cracker crumbs. Includes (4-5 oz) of fresh cooked lobster meat in each dish! That’s a lot of lobster! Lobster Anywhere’s Lobster and Mac comes ready to pop in the oven. Just defrost, heat and serve. One pound of Lobster Macaroni and Cheese is plenty for two as an entree or share for a side dish. Ships frozen.